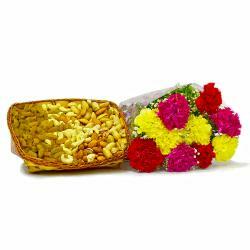 Product Consists: Bouquet of 20 Mix Roses along with Dry Fruits in a Box (Weight : 500 Gms). 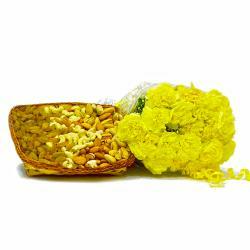 Brings to you this very special gift combo which is perfect for surprising loved one and family members on occasions like Birthday, Anniversary, Baisakhi, Dhanteras, Womens Day and so on. 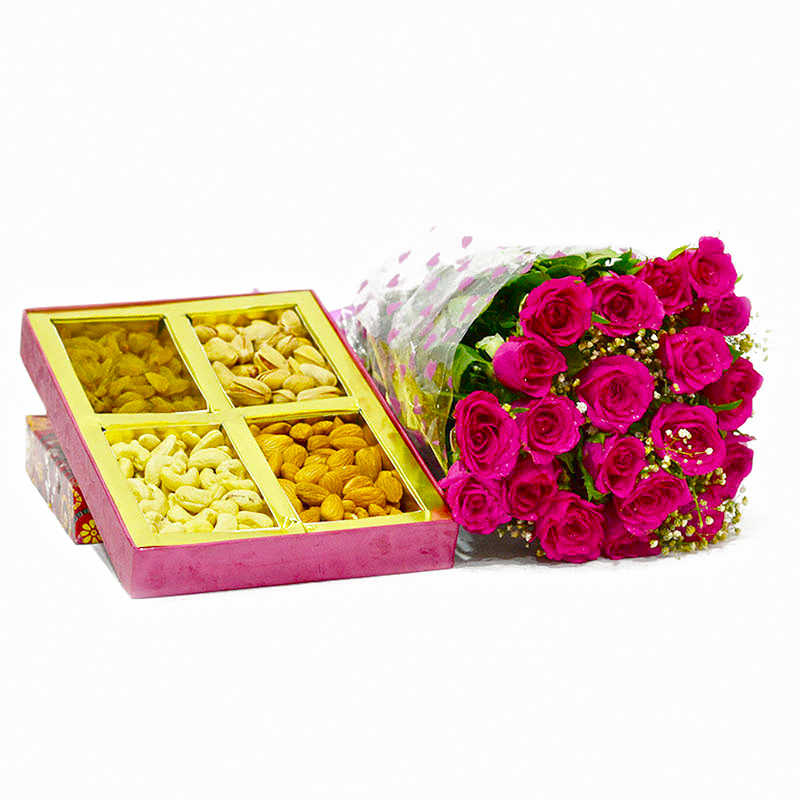 Have a look at this amazing gift item which is includes decorative bouquet of flowers containing twenty mix roses club with delicious dry fruits will definitely delight your love one. Elate the one you love by gifting this extraordinary gift combo which is available online, so order now and deliver the gift to your recipient door step. 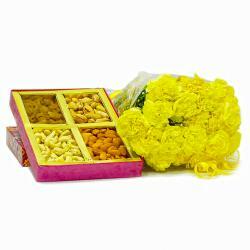 You can also send this gift hamper along with other Gifts to India through Giftacrossindia.com. 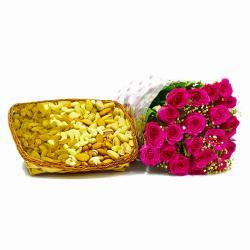 This gift hamper contains : Bouquet of 20 Mix Roses along with Dry Fruits in a Box (Weight : 500 Gms).